I'll admit it, I'm a sucker for pattern. Quite often a gorgeous pattern or a snippet of unusual embroidery is all I need to have me reeling over something, especially clothes. If you've seen my 'The Wardrobe and the Jewellery Box' board on Pinterest, you'll see what I mean. 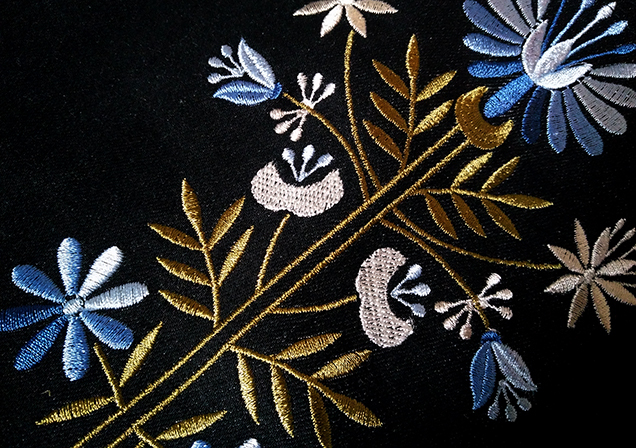 So when I saw this embroidered pinafore from Joy The Store I just fell in love with it - the embroidery is so gorgeous! I have it paired with a lovely olive green turtle neck (yep, I'm all for those too right now!) and some black tights. It's a super simple outfit, but the flower design is what makes it really unusual. I had a lot of fun replicating the embroidery in the illustration today! 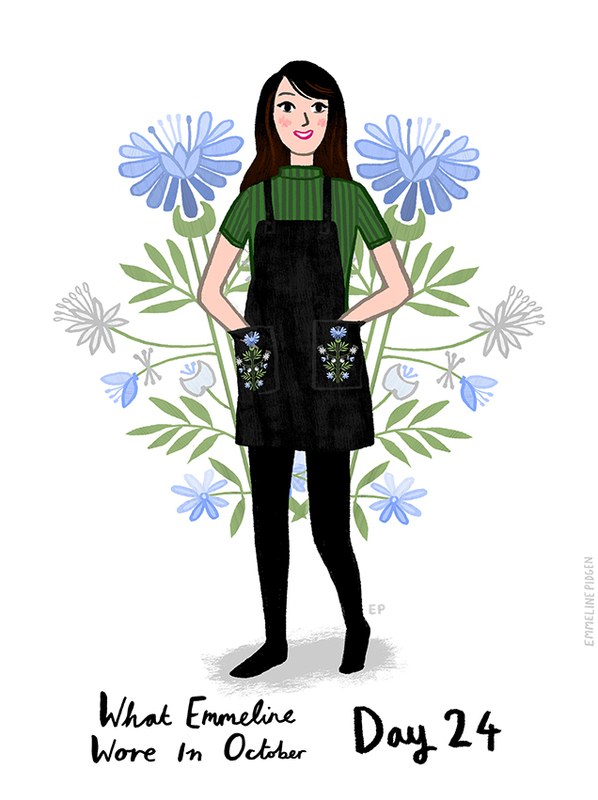 If you follow my work, you'll know I often include a decoration of leaves and flowers in my illustrations - so I think this outfit might get me a few more "Hey! You dress just like your work!" comments. You can find the pinafore in all it's embroidered glory on the Joy website here, and the Trent top here. Joy is no stranger to stocking the cards I illustrated with Ohh Deer as well, so keep an eye out for those next time you're instore. 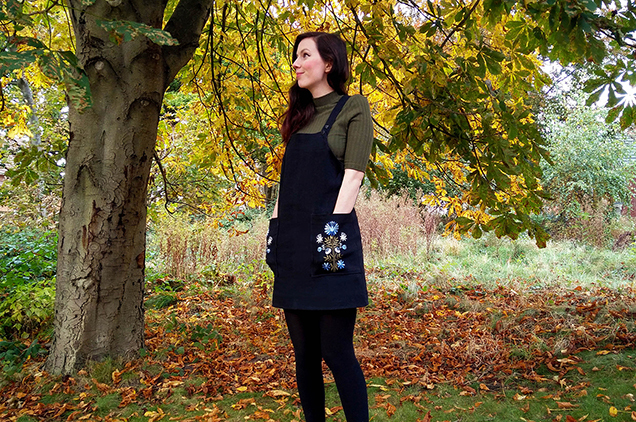 Remember you can keep up to date with the daily 'What Emmeline Wore In October' illustrations by using the hashtag #wewio on Twitter, Tumblr, Facebook and Instagram, or over on Bloglovin'. Please note this is not a paid feature.